After register or activate Bank of Baroda net banking facility online, now you are ready to use this service. 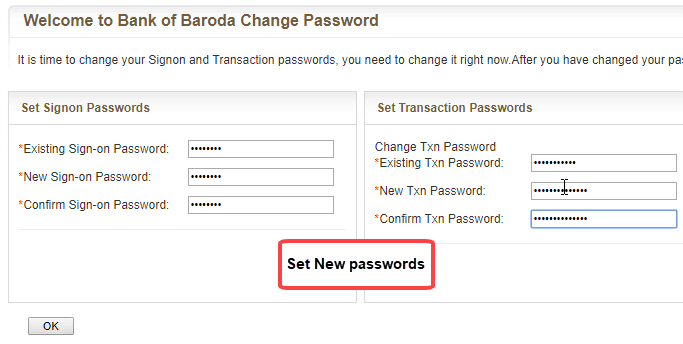 Here is quick guide how to login first time in Bank of Baroda internet banking. Bank of Baroda net banking facility lets you access and manage your account online. This facility is available for all customers free of cost. After opening your account, you can enable bob net banking online using your debit card, you don’t need to visit bank for activation. 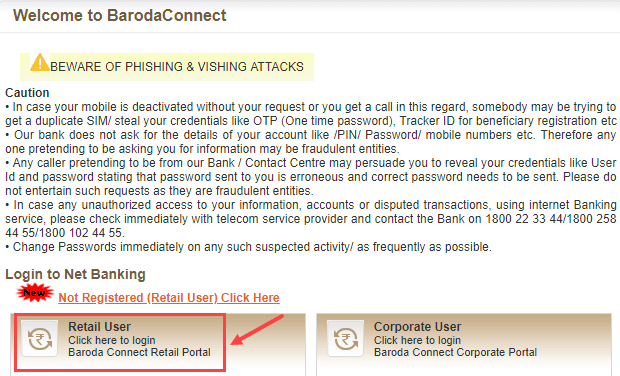 Now see how to login first time on Bank of Baroda net banking after successful activation. After complete bob net banking activation process, you can now login to net banking with your User ID and login password. 1: Visit BoB net banking page and click on “Retail (click here to login)” as you can see below image. 2: A new window will open in browser, now enter your User ID which created during registration & click on enter. 4: Now enter your login password and click on enter to login. 5: Next screen click on Enroll now. 6: On next page you need to complete some security tasks which necessary for security. Your personal message: Set your personal message (anything). You can see this message on login page when you login. It will ensure you that you are access correct BoB address. 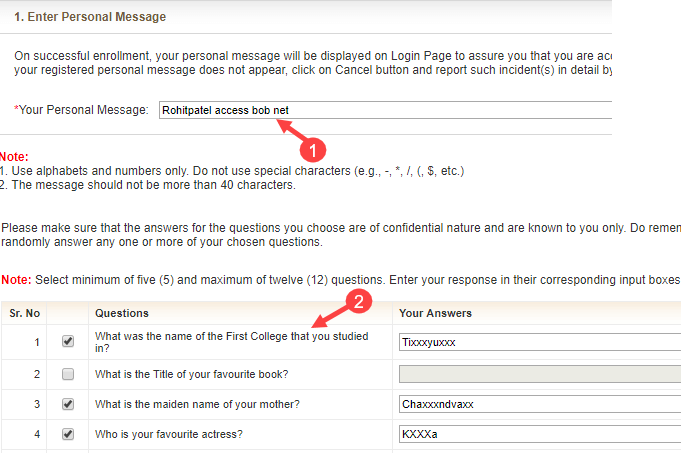 Second, set any 5 security questions and answers. Choose any 5 your questions and set answers. 7: And in last step, change your login password and transaction passwords. First enter both old password and change it with new passwords. That’s all. Your Bank of Baroda net banking is now ready to use. Please wait for 24 hours, after 24 hours you can see your account details in net banking. 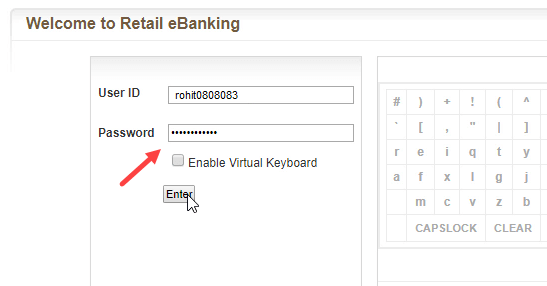 So this is how you can login first time in Bank of Baroda (bob) net banking. This is one time login process, after this you can login instantly using user id and login password.